Wing International Shinjuku Hotel offers you full-furnished rooms, a home for travelers around the globe. Located in the city center, this pleasant hotel allows easy access to many of Tokyo's sightseeing, shopping, and entertainment options. Amenities and facilities in each of room included : double size bed with bedside, cupboard, desk, tv with Japan tv cable stations, and heating/air conditioned room. Bathroom : shower cab (hot and warm water), sink , closet and bidet, hair dryer, towel set (soap and shampoo are included). Get lost? 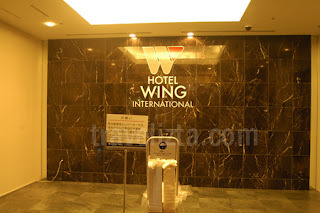 Just ask local inhabitant, direction to "Wing International Shinjuku Hotel". Don't forget to get dictionary (about 7 minutes walk from train station). Clean / Tidiness : 4 out of 5, neat and clean. very good!!! In combination with low price (It just extremely difficult to find a nice room with price below 150 USD in Tokyo for a night stay), the room itself was in nice condition. We book Wing International hotel online from this website, the room is look the same with the promotion picture. Lobby with internet, locker room, free coffee, and helpful staff! Just stay at Wing International Shinjuku Hotel, book online here to get discounted price! 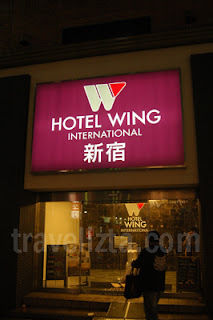 Book Wing Intl Shinjuku Hotel here!